In October 2014 Joan Ting from WEA Adelaide joined Judith Hedley's Nottingham course 'Emma'. Joan was over visiting family and enjoyed sitting in on Judith's class so much she actually attended 3 times during her stay. 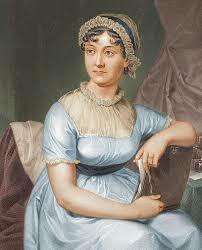 Joan spoke enthusiastically to the group of her involvement with Adelaide's Jane Austen society - which is based at WEA Adelaide; and since then we've discussed the possibility of setting up our own Jane Austen group. We are currently at the 'this would be a good idea' stage and so are inviting anyone who would be interested in such a venture to get in touch - we can then get the ball rolling. Everyone is welcome whether new to Austen or with some knowledge.